EICR Test advice Birmingham – The responsibilities that landlords and employers have with regards to the safety of tenants and employees respectively. The Electricity at Work Regulations 1989 also require that precautions are taken against the risk of injury sustained from electricity used in work activities. How Often should I have an EICR? Businesses – employers are recommended to have an EICR test undertaken once every five years. Buy-to-let or rented property – landlords should have an EICR test done every five years or when new tenants enter the property. Homeowners – an EICR is recommended every 10 years. If the property has a swimming pool, this should be tested once every year. What Does the EICR Test Involve? EICR Testing is a full-scale inspection of your electrical systems and installation. 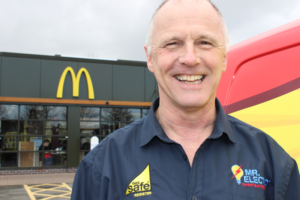 At Mr. Electric, we have a specially trained EICR team to conduct these inspections as part of our full package of electrical solutions.